Off The Hook's New Brunch Menu: Let's Dig In! Before we get to the food, we must pay proper attention to the equally important libations. 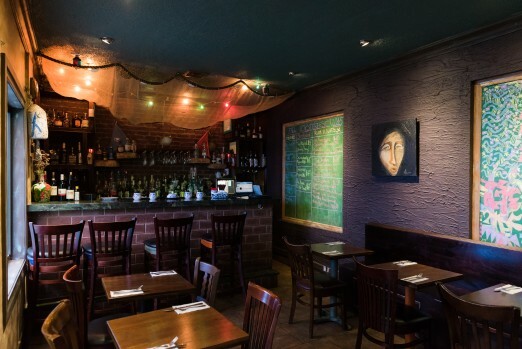 Off The Hook has recently dedicated themselves to becoming the go-to Astoria spot for a quality rum selection, with over sixty varieties offered. (More on that later!) To kick off the meal, Bloody Marys were a must. But these were not your mama’s Bloodys. 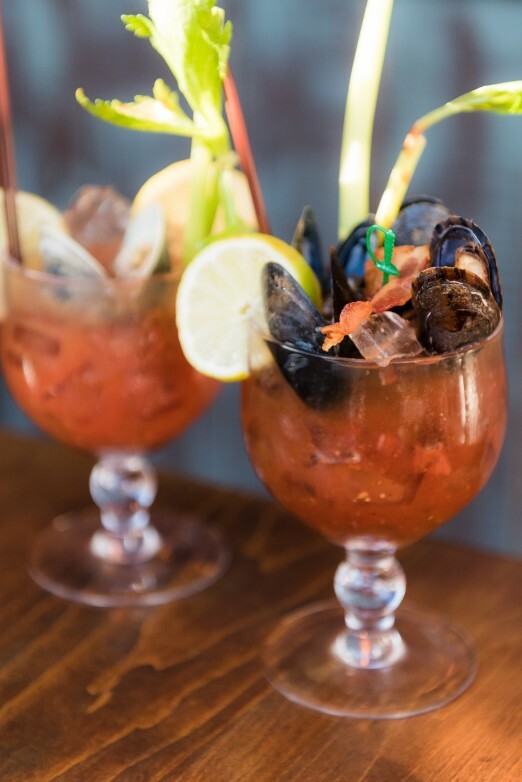 We’re talking about the Crush and Clam Mary, made with oyster sauce, crushed red pepper, and clam on the shell, and the almighty Mussel Rum Mary, complete with mussels, bacon, sriracha, ancho chile, and Diplomatico Anejo. 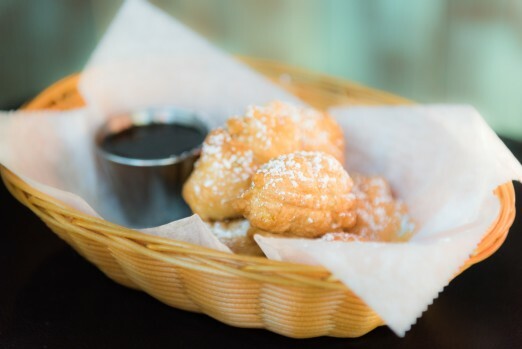 These are not for the faint of heart, but if a little hair of the dog is what you’re looking for to kickstart your brunch, these babies hit the spot! Okay, let’s dig in. The first dish we were served was an immediate crowd-pleaser: Hook’s Baked Oysters. 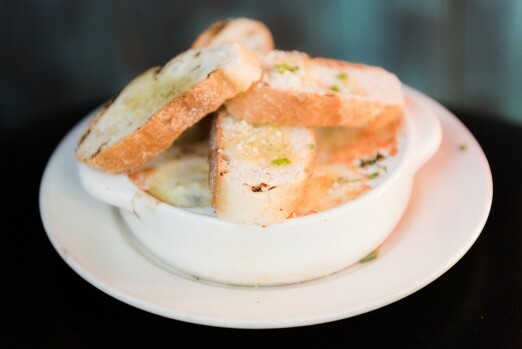 Served in an escargot dish, it features baked oysters in Hook’s Spiced Rum with Gruyere cheese fondue, served with crostini for lots of dipping. The cheesy goodness combined with the cooked-to-perfection oysters and crunchy bread made for a very satisfying start to our meal. Up next were the Catfish Corn Fritters: catfish bites fried in a sweet batter with blue agave syrup on the side. If you’re someone who knows the savory vs. sweet brunch struggle all too well, this could be the option for you. You get the best of both worlds! Oh, a brunch omelette. Must be pretty simple, right? Not here! 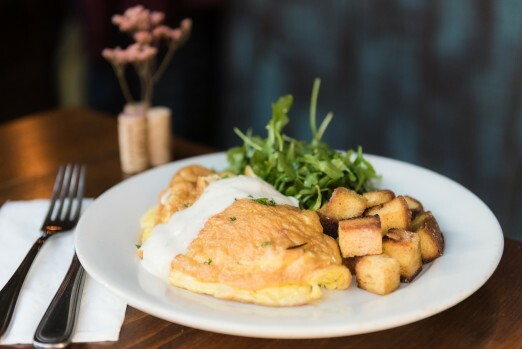 The Fried Oysters Omelette takes the basic brunch staple and turns it into something fancy and unexpected, from the crunchy oyster filling to the addicting agave brioche croutons served on the side. Seriously, these croutons taste like you’re eating bite-sized french toasts. 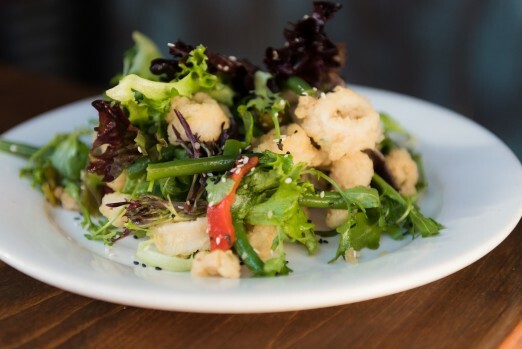 For a lighter option, we also tried the Fried Calamari Salad, which featured mixed greens, roasted sweet peppers, string beans, and jalapeno tossed with crispy calamari in a sesame vinaigrette. We all agreed that while salad isn’t necessarily a dish we typically order at brunch, this starter was a nice contrast to the richer dishes we sampled, and had a very tasty dressing. Another brunch staple Off The Hook takes to another level: the frittata. 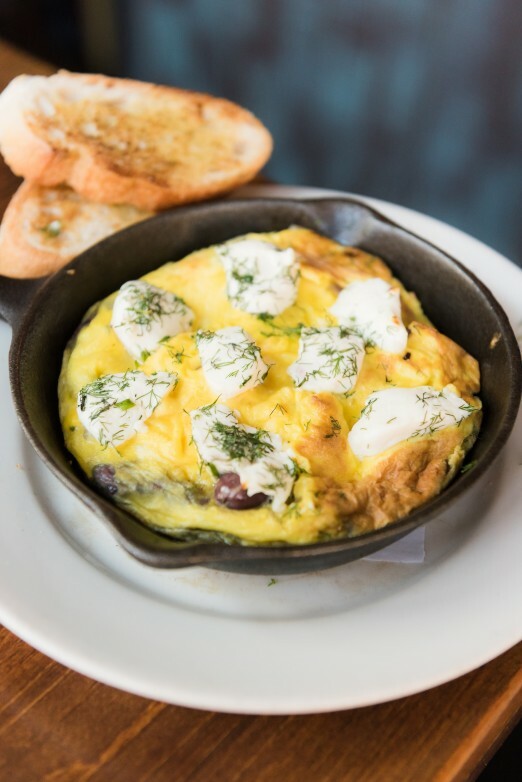 Their Salmon Frittata includes the delectable combination of cream cheese and dill on top, with fresh fish inside. Okay, let’s take a break from the food and get back to the drink selection. 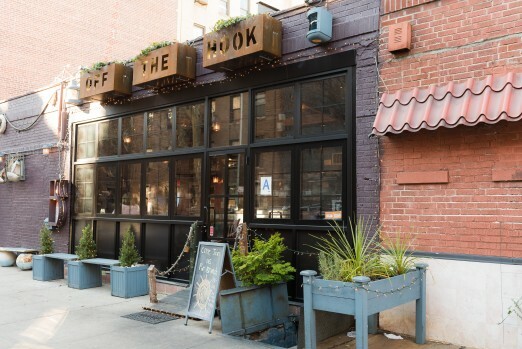 As I mentioned, Off The Hook is establishing themselves as the neighborhood’s premiere destination for rum, and if we left without trying some of their selection, it would just be bad form, right? 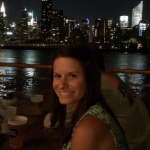 It’s a tough job, but someone has to do it. 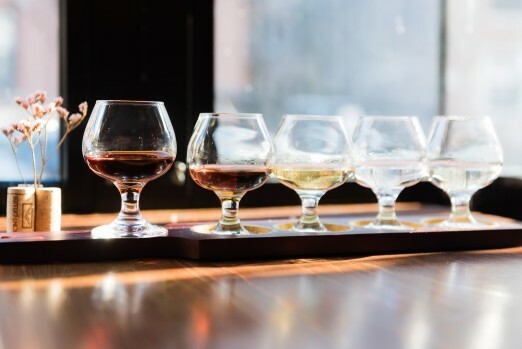 From left to right: Yaguara Cachaca, Clement Premiere Canne (Silver), 10 Cane Gold, Hamilton Black, and Hook’s Black Spiced. 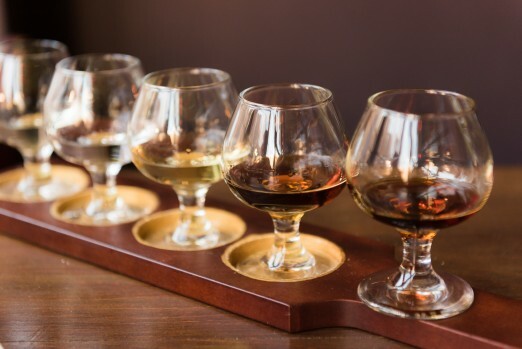 We sipped our way through the 5 Cannons rum flight, which featured Yaguara Cachaca from Brasil, Clement Premiere Canne (Silver) from Martinique, 10 Cane Gold from Barbados, Hamilton Black from Jamaica, and Hook’s Black Spiced from Missouri. My personal favorite was the molasses-like Hook’s Black Spiced: the smell was sweet, and the taste was rich and dessert-like. But really, you should try them all. The Five Cannons, in all their glory! Back to the food! 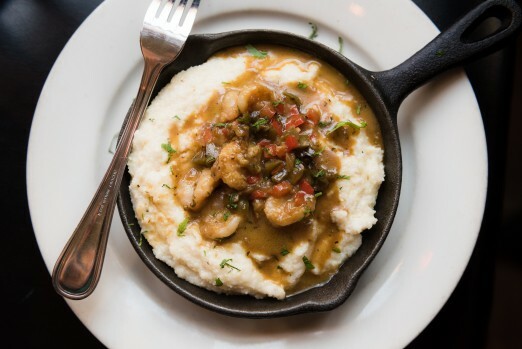 Another crowd favorite was the shrimp and grits, which were exactly what you’d want them to be: warm, comforting, and full of carb-y goodness. You can’t go wrong with this one! Our final dish was the Open Krabby Patty, a play on crab cake sandwiches. 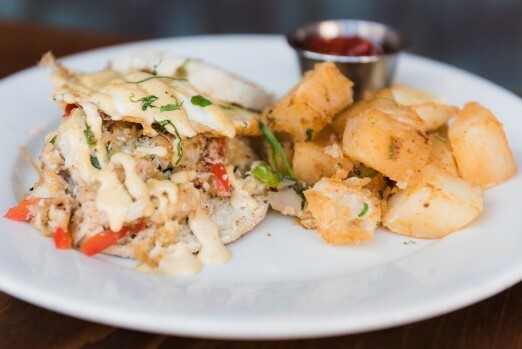 This open-faced sammy gives you more of what you want: fresh, well-cooked crab meat with a fried egg on top. If this isn’t a seafood brunch dish done right, I don’t know what is. 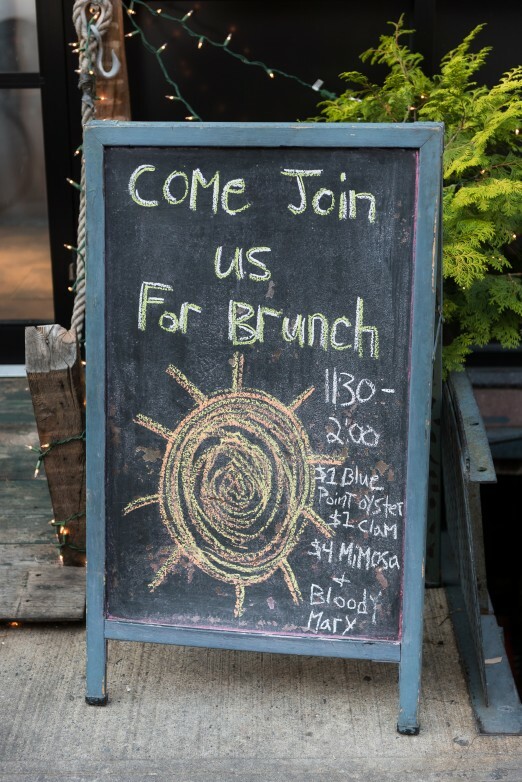 A very special thanks to our friends from Off The Hook for treating us to a fabulous brunch. 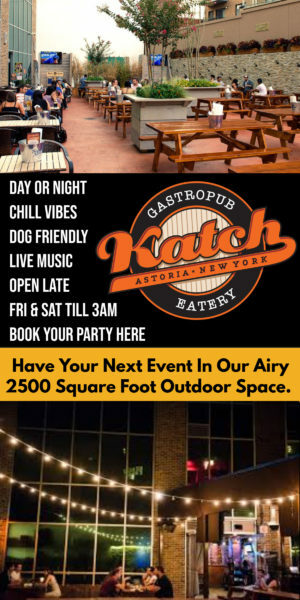 If you’re looking for a spot that’s comfortable, tasty, and features drinks that will knock your socks off, give them a try! This post was sponsored by Off the Hook. 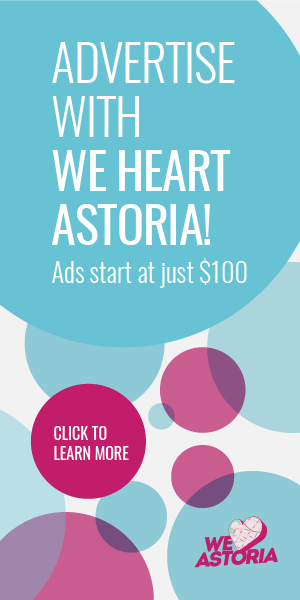 Thank you for supporting the businesses that support We Heart Astoria!